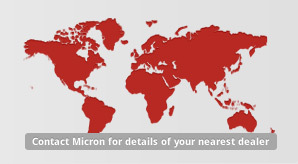 Micron AU8500 is a tractor-mounted airblast sprayer developed specifically for the control of pests in tall trees using products formulated for Ultra Low Volume (ULV) application. The machine is intended to be used as a ground-based alternative to aerial application in date palms, tropical fruit trees, forestry etc. The AU8500 uses a Micronair rotary atomiser to give excellent control of spray droplet size over a wide range of flow rates. 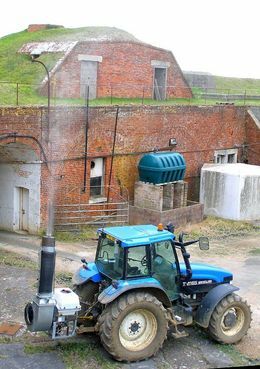 Spray droplets are carried upwards into the tree canopy by the air blast from a highly efficient tangential flow fan driven from the Power Take-Off (PTO) shaft of the tractor. 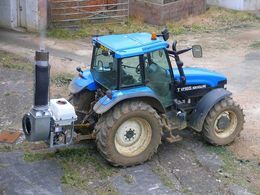 The fan is provided with a two-speed gearbox to match the fan speed and air output to the tractor being used. This allows the sprayer to work both with small tractors (32 – 75 HP) and larger types (75 HP and above) for maximum vertical coverage. The atomiser is mounted at the outlet of a flexible air duct. This is normally directed vertically for optimum coverage of tall trees. However, the angle of the duct can be adjusted for spray application onto smaller trees or bushes or for the control of migrant pests at ground level. The air duct can also be moved to the horizontal position for transport or when driving under obstructions. The pesticide tank and all pipework and components in contact with the spray liquid are manufactured from materials that are resistant to aggressive solvent-based ULV formulations. The tank has a wide aperture for ease of filling and a drain valve for easy and safe emptying after use. The sprayer incorporates an additional flushing tank to allow the pipework, pump and atomiser to be safely washed out with a nontoxic solvent after use. The sprayer is operated from a control box inside the tractor cab (where available) for maximum operator safety. The machine incorporates many unique safety features, including an air flow sensor to stop the pesticide pump in the event of the PTO drive being disengaged during operation. Air duct and atomiser: Height 1500 mm above top of frame.